Warsaw, 21 October (PAP) – On Monday morning the 13th World Summit of Nobel Peace Laureates started its sessions at the Palace of Culture and Science.  ‘Stand in Solidarity for Peace – Time to Act’ is the Summit’s motto. The Summit is attended by, e.g., 14th Dalai Lama, Lech Walesa, and Frederik Willem de Klerk. The Summit held for the first time in Warsaw and planned for 3 days, coincides with the 30th anniversary of awarding the Nobel Peace Prize to Lech Walesa. The first Monday session: ‘Stand in Solidarity for Peace and Security’ is to be participated by Frederik Willem de Klerk (South Africa’s former President, 1993 Nobel Peace Prize), Shirin Ebadi (Iranian lawyer, human rights activist, 2003 Nobel Prize), and Ira Helfand of the International Physicians for the Prevention of Nuclear War. The following session titled: ‘A System of Social Values in the Time of Crisis’ will be participated by: Lech Walesa, Mohammad Yunus (originator of the microcredit concept from Bangladesh ), Mairead Corrigan Maguire (peace activist from Northern Ireland, 1976 Nobel Peace Prize), as well as Peter Launsky-Tieffenthal, UN Under-Secreatry-General. Samia Nkrumah, daughter of the first President of Ghana and the continuator of his thought will be the Summit’s special guest. On Wednesday being the event’s last day, Sharon Stone, an actress, film producer, and charity activist, will receive the Peace Summit Award for ‘the solidarity activism for people fighting against the HIV/AIDS tragedy and for giving them hope’.